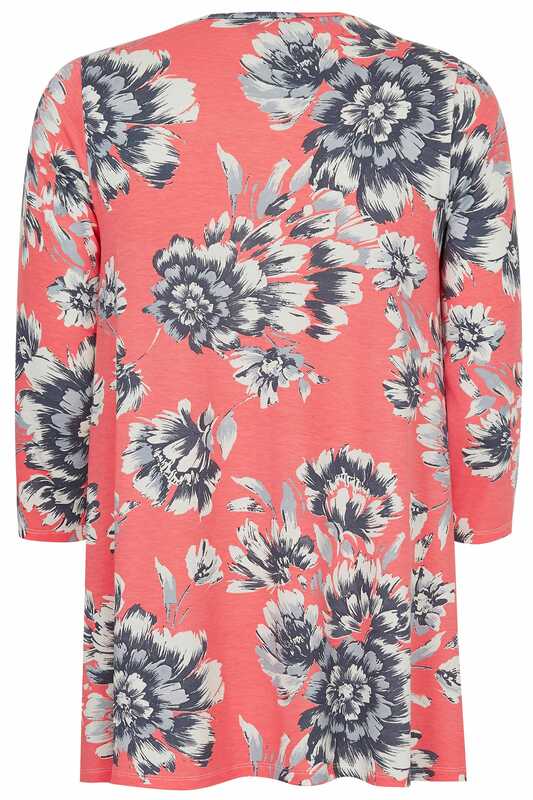 Create a cool and casual look with this chic top. Made from a comfortable jersey fabric, it features 3/4 length sleeves for good coverage and a keyhole front with cross-over straps. For effortless style team with light washed denim and flats. 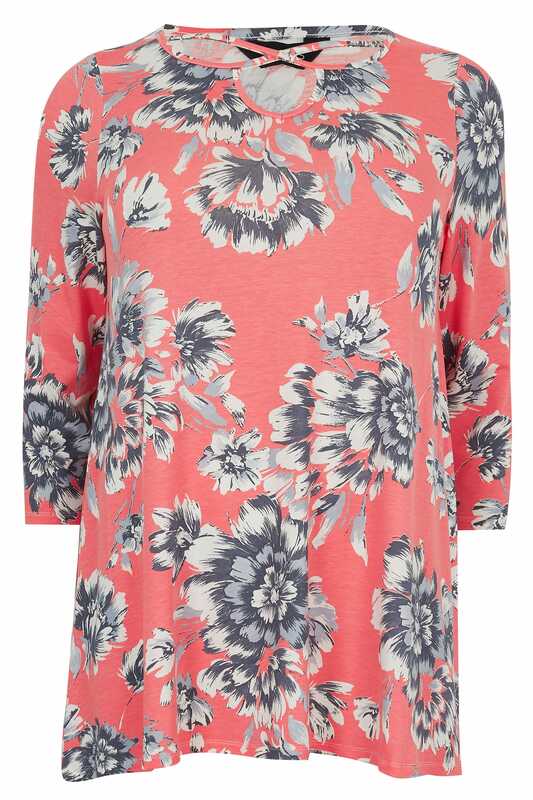 Loving the cool coral hue and floral print.